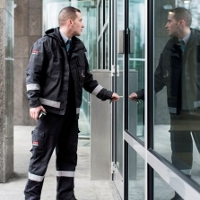 Securitas’ approach to the prevention of accidents and ill health has been recognised in the Royal Society for the Prevention of Accidents (RoSPA) Occupational Health and Safety Awards 2015 – the most sought after accolade by organisations from every sector. As the UK’s family safety charity, RoSPA’s mission to save lives and reduce injuries covers all ages and stages of life. In support of this mission, the RoSPA Awards, which date back 59 years, recognise commitment to continuous improvement in accident and ill health prevention at work. The Gold Medal Award, which is the ninth for Securitas in as many years, will be presented to Phil at a ceremony at the Hilton Birmingham Metropole Hotel, at the National Exhibition Centre on Wednesday 15 July 2015.